Focusing purely on research and development allows us to test more geometries, more wing profiles, more materials, select the best elements to simply create the most advanced foils. Forget weight, forget flex: foil masts have to be stiff and torsionally rigid to achieve controlled flight. The stiffer, the more stable. And the more stable, the more control and more performance the foil delivers. 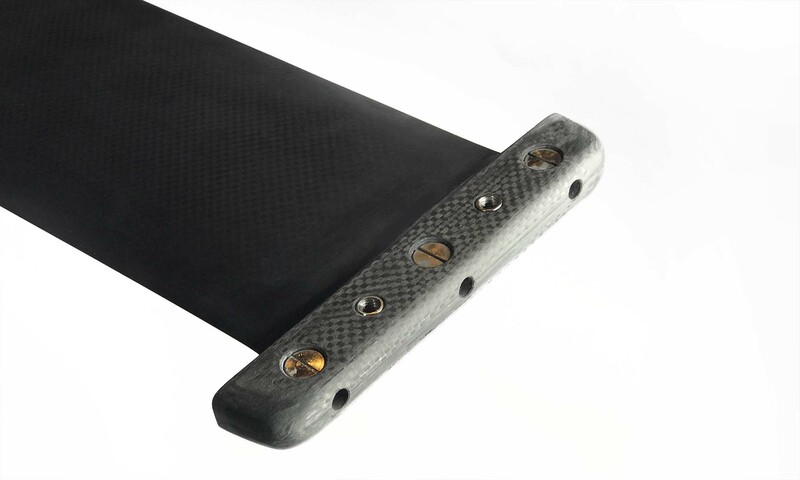 Starboard Carbon masts are built in 100% pre-preg carbon, with forty layers of wrapped high-modulus uni-axial, bi-axial and tri-axial Toray carbon hydraulically pressed, heated and fused into one monolithic mast of incredible stiffness. 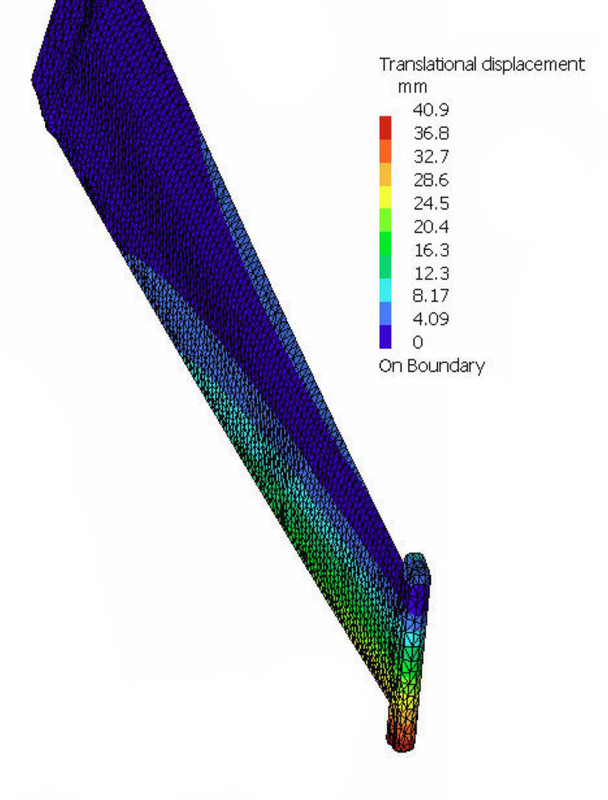 The shape of our mast has also been optimized for flexural and torsional stiffness. 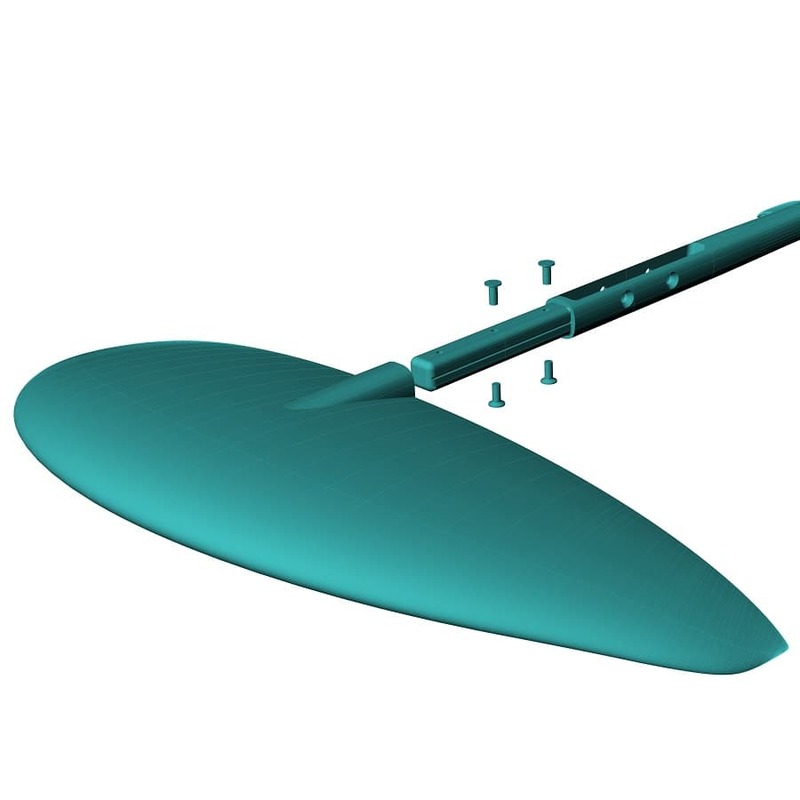 Computer-simulated analysis shows the Starboard mast, by virtue of its shape alone, is already up to 52% stiffer than a traditional mast. Starboard Aluminium masts use a proprietary and patent-pending triple I-beam cross-section with a unique profile that pushes more material to the perimeter than any other known masts, providing unprecedented stiffness and performance. The Starboard's mast head is designed to fit into boards that either have Deep Tuttle fin boxes with a sloped bottom inside or the newer Foil Boxes that have a flat bottom inside. The elongated holes allow the bolts to rotate and adapt to both angles: parallel or tapered. The stainless steel nuts are oversized and deeply recessed into the head for maximum strength. Starboard Foils pioneered the fusion of carbon and aluminium in foils: carbon is used for thinner parts like wings, when carbon is the optimal material for maximum stiffness. For fuselage with a more square-shaped cross-section, aluminium has more suitable characteristics. Our choice of an aluminium fuselage makes Starboard foils stiffer, more controlled and more stable. We found G10 wings and glass fibre wings to flex too much, no matter what we tried. Flex reduces control and stability. Since thicker wings would reduce performance, we chose to make all thinner Starboard Wings in pre-preg Toray carbon. Stiffer wings equal controlled and stable flight. Thicker wings like the Wave series sit on the opposite side of the spectrum: their thickness make them practically inflexible, so stiffness isn't an issue. Instead, we use a foam core to reduce weight and add some layers of glass to improve durability and impact resistance. 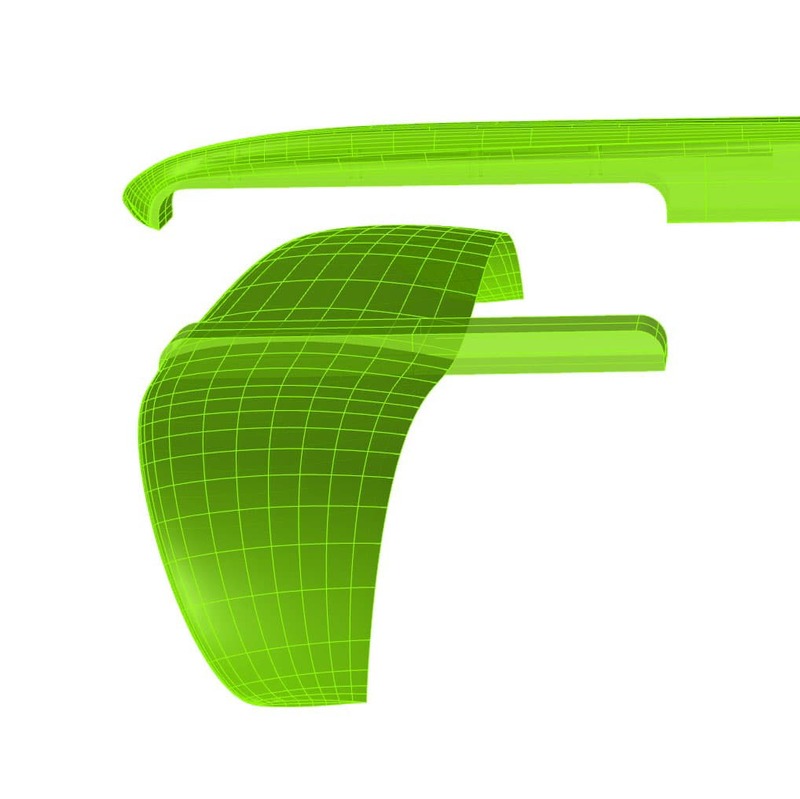 Starboard Wind foils use a saddle system for the front wing: two flat, square surfaces mate to give you the strongest, most stable and most reliable fitting system. It's a model of simplicity and efficiency. Zero torsional give, maximum stability. Starboard Wave foils use thicker wings that cannot fit a saddle system. So we created our own unique sleeve system that uses a parallel male ferrule. 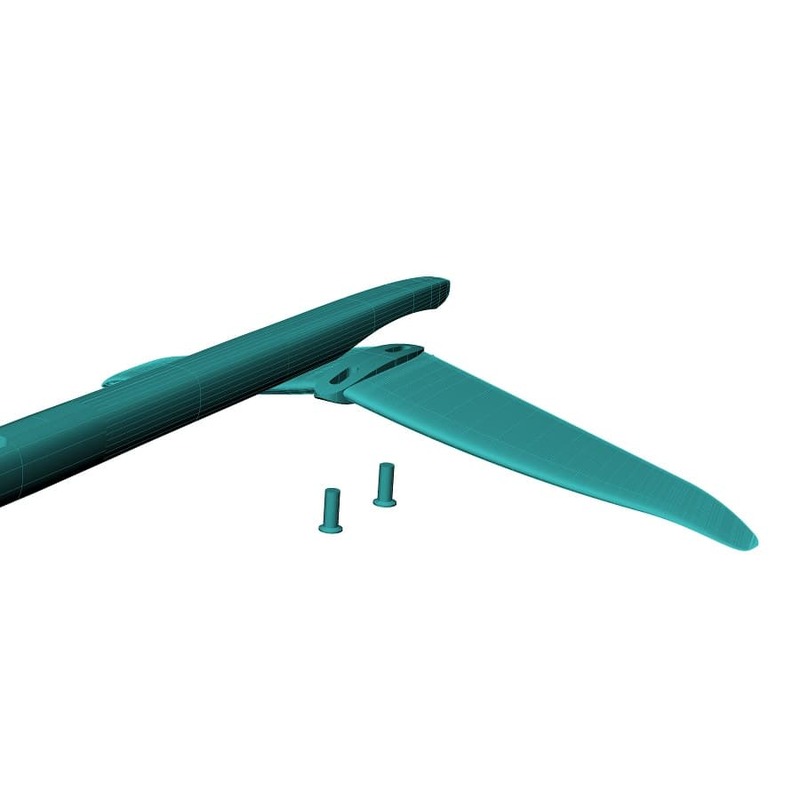 This design allows wings to be removed and swapped, quickly and easily. Two countersunk Torx bolts on the bottom and two more on top fully lock the wing in place. Starboard Wind foils use a saddle system for the tail wing which is similar to the front wing saddle system, just smaller. Starboard Wave foil tail wings can adjust in angle by releasing the locking bolts and sliding the wing forwards or backwards along the rocker. Adjusting the tail wing allows Starboard Wave foils to fit different length boards, to match different speed and size waves, and finally different rider styles and body weights. 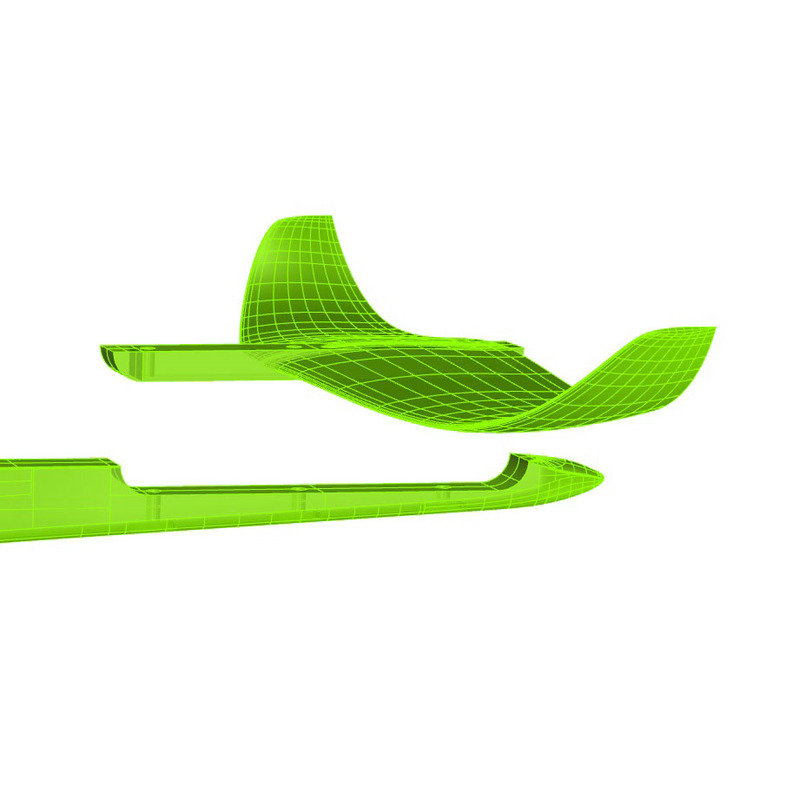 Forward: this increases tail wing angle, increasing lift and maneuverability, reducing stability and control. More lift is recommended for smaller, slower waves, for heavier riders and longer boards. Back: this decreases tail wing angle, increasing stability and control, reducing lift and maneuverability. More stability and control is recommended for fast, bigger waves, for lighter riders and shorter boards. A super stiff mast, a hyper-rigid fuselage and full carbon wings would all go to waste if the fuselage fitting wasn't up to par. 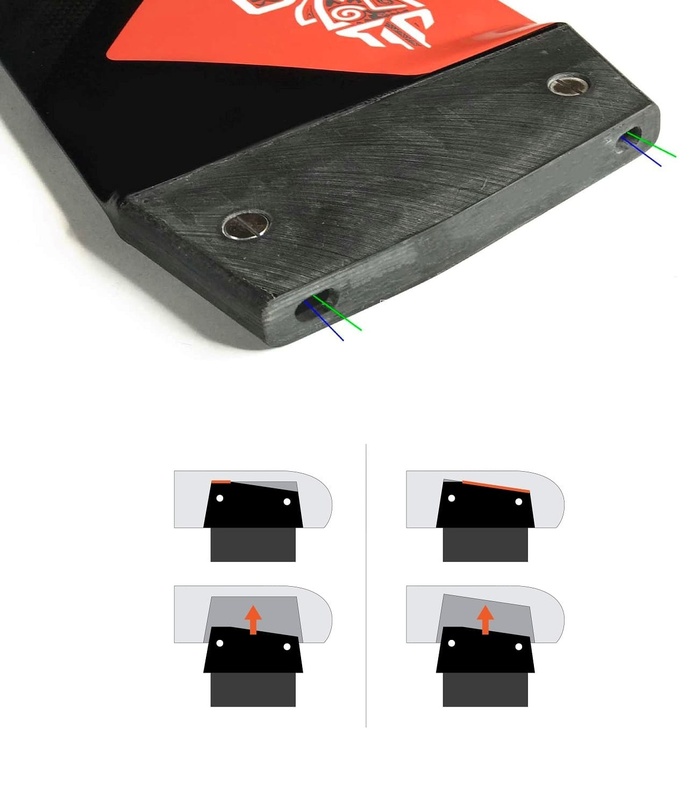 So we designed our own patent-pending fuselage fitting: Starboard Universal Connect. It not only allows for convenient disassembly, it also allows four lateral bolts to crank up the fitting pressure between the mast and the fuselage to the max, enhancing torsional rigidity and creating a single, fused high performance unit. Three Torx bolts on the bottom carry the vertical loads. When the fuselage fitting could be the weakest link in a foil construction, our patent-pending system turns the design equation upside down, making the connection a stronger and stiffer link than had we made a single-piece mast fuselage combination. Foils need to be disassembled and reassembled every session and each bolt needs to have a high amount of torque applied to create a stiff, high-performance unit. Hex, Flat and Philips may be more common but they eventually wear out and become frustrating to use. Torx is mechanically more robust and reliable by design. At the end of the day, that's most important. A Torx tool is supplied with every foil set.